An Invitation NO ONE could say no to! I wanted to plan an over the top couple Valentine’s Day Party for a few of our closest friends. I knew that in order for people to get excited about the party I needed to have an over the top party invite. It would be all about the delivery of the invitation. A friend of mine designed the invite and I was sooo excited about. I used the Silhouette to cut the scalloped edged. Like I said before, I wanted the invite to be over the top! I saw a cute invite on http://ohhappyday.com/ but the problem was the girl said the balloon she used would not hold the helium, which meant the balloon would not float. So what I did is ordered these super cute heart shaped balloons. 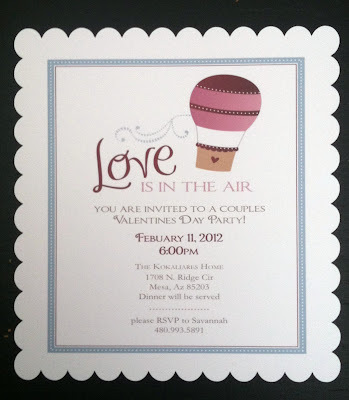 Since the theme of the party was “Love is in the Air”, I knew helium would have to play a part in the invitation. First, I inflated the balloon with helium, then I tied the balloon with cute bakers twine. I set the invite in the bottom of the box, which were paper cake boxes that I got from a friend that got them at The Restaurant Depot. I put the balloon inside then tied the box with bakers twine added a personal tag and hand delivered each box. 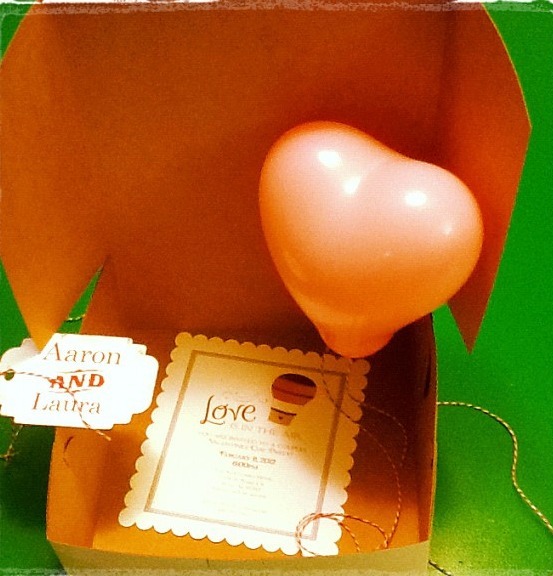 Much to the guest surprise a balloon floated out of the box when they opened it and inside rested the party invitation. I did have to deliver the boxes soon after I inflated the balloon, which was a pain but it was soooo worth it! *Side note* This is how I was going to send the invite but the cute crinkle paper inside would get caught on the balloon and it would prevent the balloon from floating up…. so I got rid of the crinkle paper and just set the invitation inside by its self. I really do believe that a great/fun invitation sets the mood for a party! So could you say no to party with an invitation like that? That is adorable! 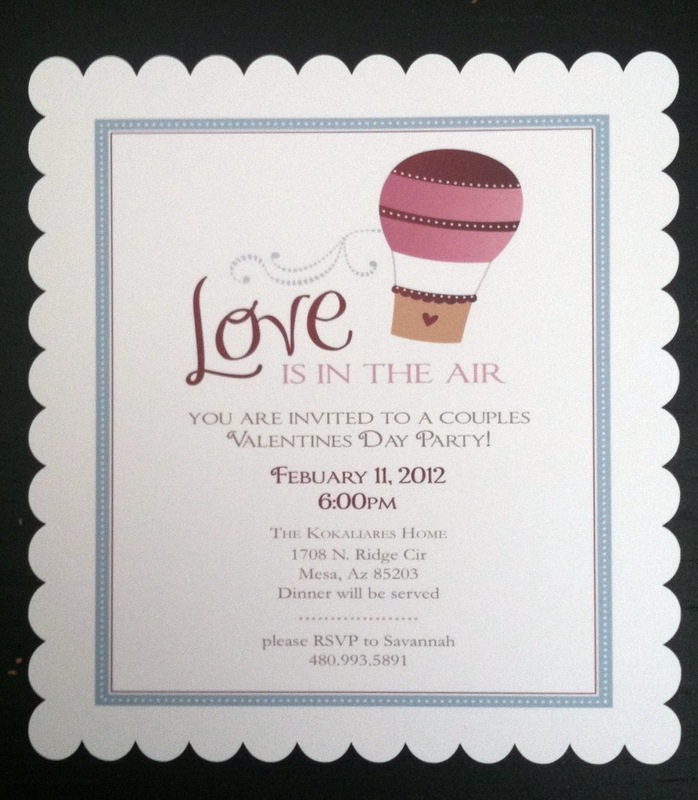 I love the scalloped edge and the heart balloon! What an amazing idea! Very creative and a cute idea! That is the most adorable thing I’ve ever seen! 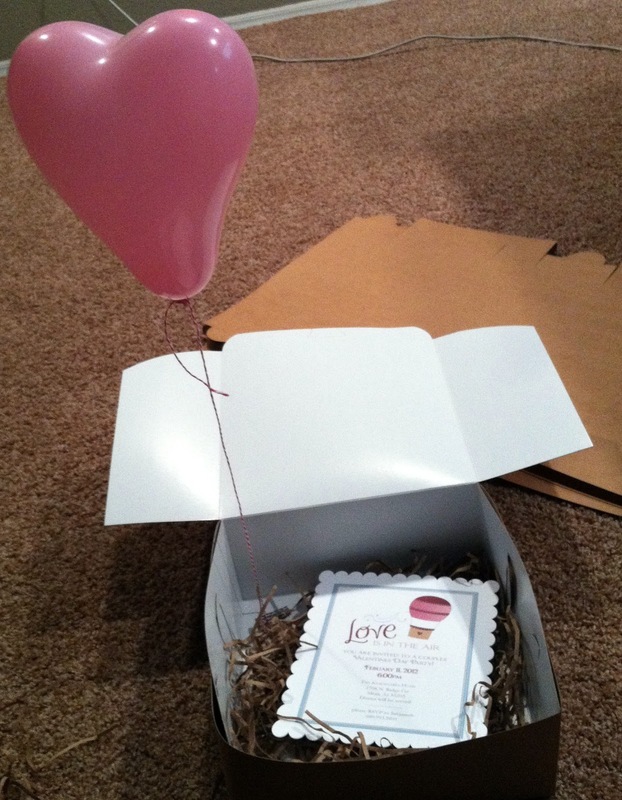 The invitation is so pretty, and the balloon is just so sweet! I would never have thought of that! That is sooo sweet and your friends most love you very,very much!!! That is too cute…and clever! I agree with you that the little details make the most difference! Hope your party was as perfect as the invites!